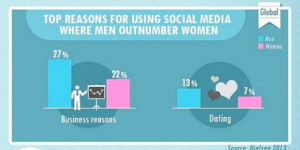 How Does Gender Affect Social Media and Mobile Device Usage? 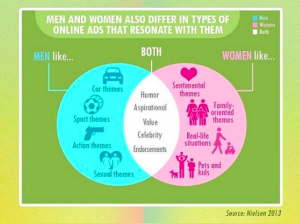 The differences in how men and women use these communication channels mirrors the differences in the types of advertisements that make an impact on them. Advertisements with more emotional content tend to be more attractive to women and those with practical, activity-related content appeal to the male audience. Knowing your audience, and the social platforms and mobile apps holding their attention, is important to expanding your reach. While it is important to maintain exciting and up to date information, its effectiveness is based on choosing the right channel of communication to catch your target audience’s eye. Given the impact that trains have had on our nation, we will be celebrating National Train Day this upcoming May 10th! Trains play an important role in the community at large and offer simplified connectivity in an economic and environmentally-conscious way. 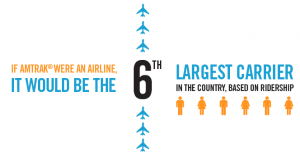 They have also shaped culture nationwide and continue to drive progress and innovation. 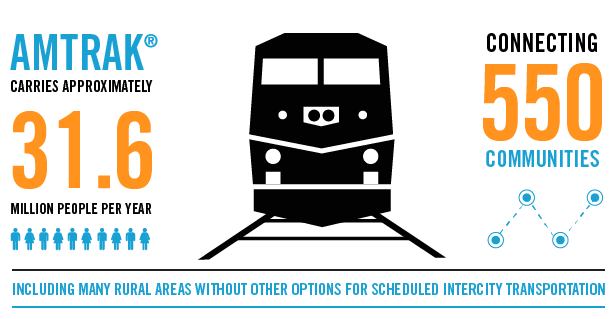 Connectivity – Amtrak carries approximately 31.6 million people a year, offering connecting routes to over 550 communities, many of which have no other transportation. Amtrak’s ridership has grown by 55% since 1997 (faster than any other major travel mode) and is projected to continue its expansion. Economic – Over 90% of Amtrak’s spending is domestic. The company prides itself on empowering American business owners by creating jobs in local communities, employing more than 20,000 nationwide. 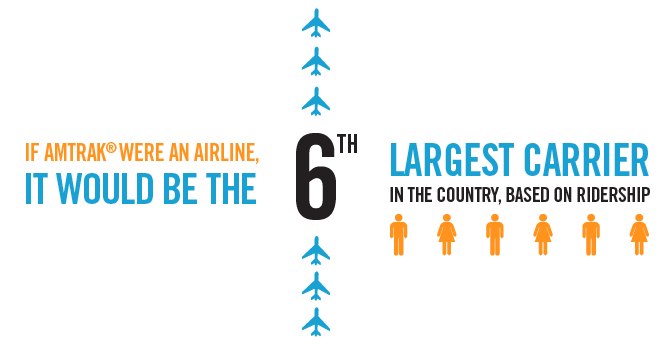 Nearly 88% of trips are made for business purposes, helping nearly 3 million people make connections that are necessary to our growing economy. Environmental – Amtrak trains are 16% more efficient than planes and 34% more efficient than cars, in terms of energy used per passenger. By offering routes to 237 National Parks, historic sites and monuments, Amtrak allows Americans to venture to the great outdoors and decrease driving. With the goal in mind to reduce dependence on fossil fuels, Amtrak “plugs in” trains at layover facilities to use electrical power so the diesel locomotives can be shut down. Doing so minimizes engine idling and saves fuel while trains are being serviced. Cultural – Trains are part of our culture in more ways than one. Did you know Mick Jagger’s first Instagram photo was on Acela Express from New York to Washington, DC? Or that Alexis Ohanian, founder of Reddit, created the idea behind the company on Amtrak? Historically, sports teams that are known to ride the train t o away games include the NY Rangers, Boston Red Sox, Atlanta Braves and the NY Knicks. Perhaps you’ve heard of #metro or #metrolink, the region’s passenger rail system that connects major cities from northern to southern California. If you’ve never taken the train in California, you are missing out! Learn more about National Train Day on its website (www.nationaltrainday.com) and connect with them on Facebook to stay updated on the latest news.